What’s a little cow wannabe to do? 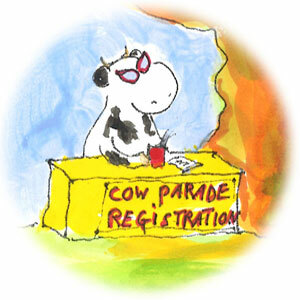 Annie the fox terrier desperately wants to march in the town’s annual cow parade, The Million Moo March. But the cows don’t want to mix with other animals. In fact, they don’t even want to march with each other. Can Annie bring everyone together in time for the big event? Let’s find out! 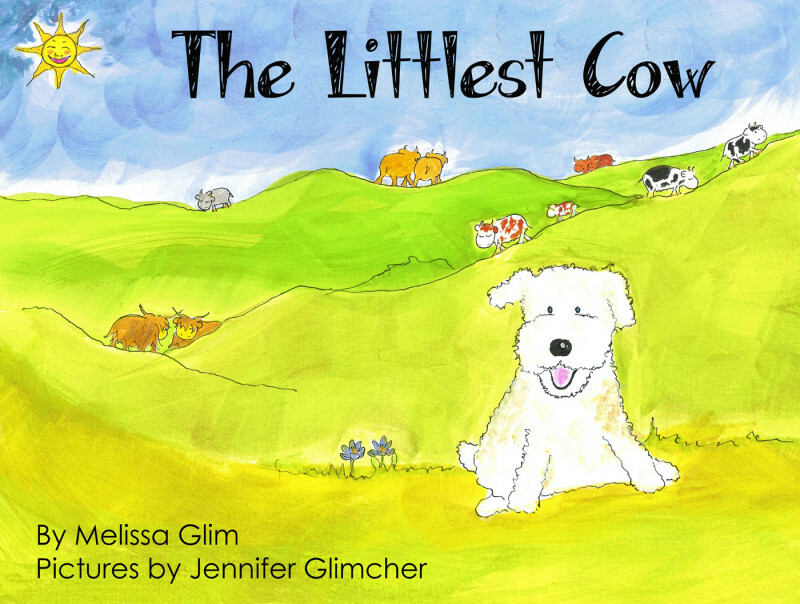 The Littlest Cow is a 40-page, full-color children’s picture book, with endearing text written by Melissa Glim and adorable illustrations by Jennifer Glimcher. 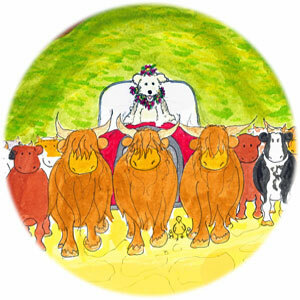 Visit Annie’s World to download and print coloring pages by the illustrator and other games, and to send Moo Mail to Annie! The Annual ‘Strolling of the Heifers’ happens every year in Brattleboro, VT. This year’s event is scheduled for June 5, 2014​. Dogs, cows, chickens, pigs…. Everyone is in the Pet Parade. 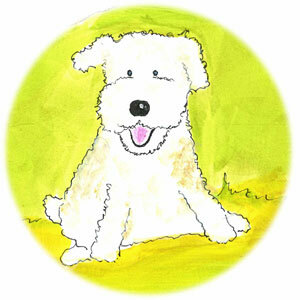 Upload your pet and farm animal pictures and join Annie in all the fun!